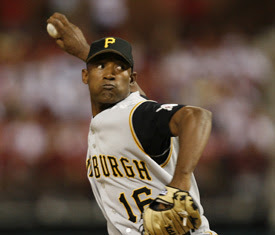 Today's Pirates Roundtable is up, with questions on the 2007 use of Salomon Torres and a franchise player for the Pirates. Take a look. Somehow Salomon Torres has already made 12 appearances in 2007. I'm not sure how, other than the fact that he's really durable.